What is glutathione, it is a compound containing sulfur that is the most effective antioxidant naturally found in the human body. It has been identified as a powerful detoxification agent consisting of three important building blocks or amino acids that include glutamine, cysteine and glycine. This combination forms an effective detoxification group known as glutathione-S-transferase (GST). This combination provides several potential benefits since it is able to support a healthy immune function, controls inflammation, protects the cells by detoxifying unhealthy substances and supports energy metabolism. There has been recent information about how glutathione may have certain health benefits for people with cancer. People that are affected by cancer naturally want to know what is glutathione and how it may help them in their battle with cancer. Since glutathione is a powerful natural detoxifier, it has the ability to remove or control the free radicals that may allow cancer cells to grow and spread within the body. 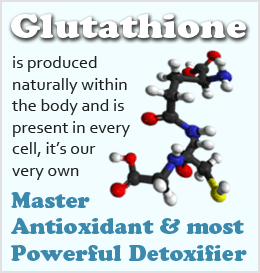 Glutathione is produced naturally and works to suppress toxins and free radicals. However, the compound can be depleted due to a poor diet, pollution, stress, some medications, alcohol and smoking. Some of these factors can be controlled managed or eliminated, but others such as aging, trauma, pollution are simply inevitable or uncontrollable. 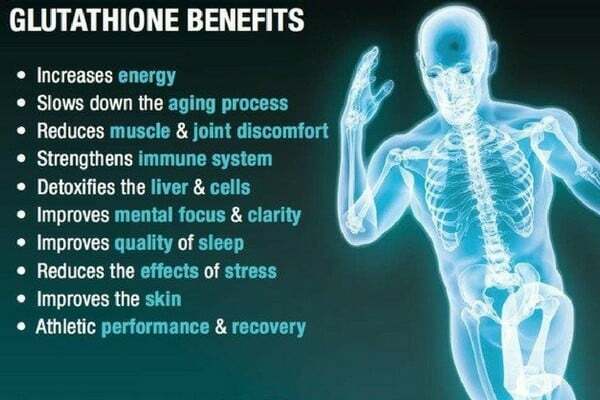 Once people have been fully informed as to what is glutathione and its health benefits, there are ways they can support its presence in their body. Diet is the easiest way to increase how much glutathione is available to maintain good health. Foods that are high in sulfur include cruciferous vegetables such as broccoli and cabbage, onions and garlic. Nutritionists have been recommending people include these foods in their diet for many years, but most people are not aware why they are good for them. What is Glutathione and it’s Role in the Body? Foods that are sold in the modern market are not always a good source of the nutrients shoppers seek. Most are grown in soil that has been depleted of its natural elements, so many people choose supplements to support their nutrient intake. Vitamins C and E are good antioxidants, but selenium, milk thistle and alpha lipoic acid are also good sources of glutathione. Unfortunately, a lot of people who are suffering from cancer are often being treated with radiation and chemotherapy. These treatments along with the stress associated with the disease itself can cause the body’s natural levels of glutathione to be seriously depleted. Simply eating a diet rich in glutathione or taking supplements to increase its presence may not be sufficient for people with cancer. Research shows that the most effective method of adequately increasing the levels of glutathione for the cancer patient is intravenously. Glutathione can also be taken orally or with a nebulizer, but it can be given at the highest strength and is more efficiently absorbed if given intravenously. There have been many important advances in cancer treatments through alternative means. As a result, the survival rate has improved significantly. However, many scientists are beginning to recognize the benefits of supporting the natural defenses against conditions such as cancer that nature has built into the human body.